Ready to replace your iPhone 5/5S to the brand new iPhone 6 Plus or iPhone 6? That is really a good idea because Apple always gives us a surprise and in the past days, iPhone never makes its fans disappointed. 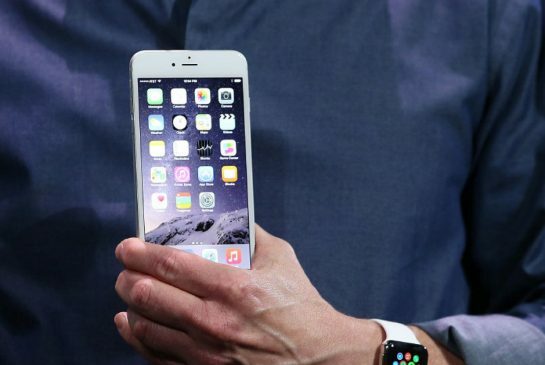 There is no doubt that iPhone 6 Plus will be one of the best mobile phones in the world. However, after buying iPhone 6(Plus), question is that how to transfer all your photos, videos, images,music from PC/Mac to iPhone 6/6 Plus. There are varies ways for you to transfer your personal data from PC or Mac to iPhone 6/6 Plus, here I will introduce the simply way to complete transfer. 1.On your iPhone 6/6 Plus, Download & Install Windows Desktop application here. Direct download link is here. 3.Connect your iPhone to computer, Plug iPhone 6 or iPhone 6 Plus into computer via the USB cable. iTunes will launch automatically, if not, manually start it on your computer. 4.Click “File > Add Files to Library” at the upper left corner of the window. Then select the video files on your computer, then click Open to add the media files to the iTunes library. 5.Click on your iPhone name, choose Music tab, click on Sync Music, Selected Music then select the playlist you want to sync to your iPhone 6/6Plus then click Apply. 6.Click on your iPhones name, click Photos tab. 7.Start syncing media files from your iTunes library to iPhone. 8.In the “Summary” window, click tab “Sync” to automatically transfer media files in your iTunes library. If you just want to transfer some certain media file maybe a movie or a piece of music to your iPhone, please check the box “Manually manage music and videos” and then you can drag the specified media file from your iTunes library browser to the device icon “iPhone”. Step 1. Connect your iPhone 6/6 Plus with your Mac, and open iTunes. If you don’t have iTunes, Download & InstallFileDrop iOS app from Apple App Store. Step 3. Select your connected iPhone 6/6 Plus from the list of devices. Under the device, choose one category for file transfer, such as Music for songs, Movie for videos, etc. Drag and drop the files you want to copy to this category, and you should see a progress bar that will indicate how long it will take to copy the file. Part III: Convert Any Video files to your new iPhone 6 (Plus). If you want to copy videos to iPhone 6 (Plus) with unsupported formats like MKV, WMV, AVI, FLV, MTS, M2TS, MPEG, MPG, MOD, TiVo, VOB, etc, you will need reformat these video files first. You can try this professional iPhone 6/6 Plus Video Converter to batch convert videos in various formats up to 1080p to iPhone playable format (e.g. MP4). For Mac users, you can use iPhone 6/6 Plus Video Converter for Mac. Now, you can easily transfer your videos, music from PC or Mac to iPhone 6/ 6 Plus, don’t forget sharing this useful guide to your friends. Know more about iPhone6 /6 Plus transfer, you can read Here.